Cob Cottage is a beautiful, traditional Cornish cottage with thick walls, beamed ceilings and loads of character. It is a real homely and cosy place to stay. Both the cottages at Higher Tregidden have their own outside spaces, but guests are welcome to explore and enjoy the surroundings. There are seven acres to explore including a meadow, orchard and woodland. It is great for children to run around! The Owner also has a large pizza oven and will fire it up on arrangement. There is also a fire pit which you can enjoy sitting around in the evenings. There is a large games room complete with table tennis table, a TV for playing DVDs and a wood burner. Exterior: There is a garden area with furniture. Please note that, although the garden is enclosed with the gates shut, the walls are approximately only 3' high. A BBQ is available. Heating is via central heating. The kitchen is well equipped and has an electric oven & hob, kettle, toaster, microwave, fridge and dishwasher. There is a shared (with the next door cottage) separate utility room with a freezer, washing machine and tumble dryer. The sitting area has a flatscreen, digital Freeview TV & DVD player with CD & Radio. WiFi is available at the property. There is a cot & high chair. Electricity, heating, bed linen and towels are all included. There is parking available for up to 2 vehicles but there is more parking available upon request. Up to 2 well behaved dogs are permitted at the small additional cost of £25 per dog / per week, but please remember that you cannot leave your dogs unattended at the property alone. Guest from Corsham stayed for 7 nights. Cob Cottage provided a fantastic home-from-home base to explore the Cornish countryside. Clean, well-supplied, wonderfully-hosted, beautifully decorated, well-situated. Everything you could need. Would highly recommend. Cob cottage is absolutely gorgeous , a real home from home in an idyllic setting . We arrived to find homemade cakes , biscuits and flowers on the table and juice in the fridge . The kids loved the playbarn and there's loads of outside space to explore , donkeys , chickens and 3 lovely dogs to make friends with . Simon was a great host , advised on places to visit , gave my 13 old a quad bike lesson ( which he loved ) and gave us the best pizza night / campfire . Loads to see and do on the Lizard , fab food , and the most beautiful place to explore. A week was not enough ! we loved it so much we 've booked to go back next year !! Guest from Woodstock, Oxfordshire stayed for 7 nights. We absolutely loved our stay at Cob Cottage in July/August. The cottage itself is absolutely charming, so comfortable and clean, and it has everything you need and more for a perfect stay. The children loved the games room, garden and visiting the animals, and we appreciated the peace and tranquillity, as well as the fantastic location - close to amazing beaches and walks, but close enough to major towns and visitor attractions. We would 100% recommend Cob Cottage to anyone looking for a relaxing and easy place to stay in an absolutely beautiful part of Cornwall. Thank you for such a wonderful holiday. This cottage was absolutely first class. Everything we ever wanted and more from our family holiday. The owners were so welcoming, on arrival there was a delicious cake, apple juice, milk and absolutely gorgeous fresh flowers. The cottage was decorated to a high standard and very comfortable for our needs. The location was the wow factor with opportunities of lovely country walks. The children helped with the donkeys and sheep which made the children's holiday. We will be returning next year hopefully for another week. Truly a wonderful cottage and location absolutely stunning. Would highly recommend this cottage for holidays. The only downside we had to leave to come home. Thank you again for such a wonderful stay. Our stay at Cob Cottage was idyllic, off the beaten track. It suited the two of us and our two dogs well and was comfortable enough to stay in the garden all week, but having driven all the way to the Lizard we made the effort to get out and about. A car is essential. The Cottage was clean and well appointed and had all the amenities we needed. There was plenty of room for us inside and out. We recommend the atmospheric walk down Frenchman's Creek and a visit to the Minack Theatre. There are also lots of gardens to visit in the area with stunning sub tropical plants. We would certainly hope to stay at Cob Cottage again and see more of the surrounding countryside. Cob cottage was perfect for our first holiday with our puppy. I looked at lots of options as not all cottages are pet friendly. Simon the owner gave lots of ideas on where to go and what to do, and was always available for whatever we needed. Cob cottage also has its own secure garden which made life easier. Guest from Ascot stayed for 3 nights. Lovely location , nice owner. Cob cottage is a lovely located cute cottage. Tucked away in a quiet location near Lizard. Very friendly and helpful owner. Really nice cottage, however with some small improvements could be absolutely excellent. It was well equipped too. But small things like newer towels and maybe TV's in the bedrooms would make it much more comfortable. There were only two of us and the dogs but it sleeps 6. But with 1 bathroom and only two small sofas I think it might be really cramped with that number. 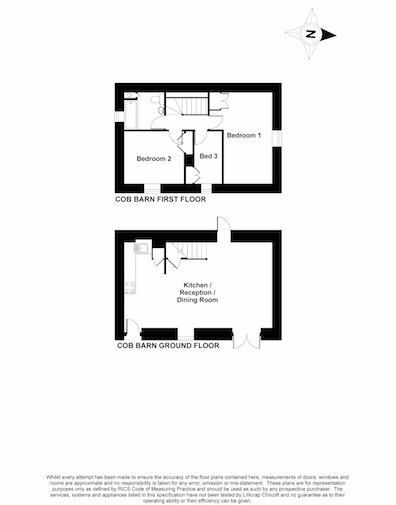 I think if I owned the place id have two double beds and one single, or if I fancied really going to town id put an en-suite in the main bedroom. I think the cottage would actually achieve a higher price. It was also a bit confusing with parking and gardens as there seems to be 3 cottages with communal areas. It was fine when we were there but not sure if it was full that it would be private enough for me. I don't remember seeing that explained in the advert. However, all that said Cob cottage is a lovely quaint cottage, and I would recommend it without hesitation. I think it might suit families with small children more so than grown ups maybe. And importantly the owner was a really nice guy. I hope Cornwall cottages and the owner see this as constructive criticism rather than just criticism.. Guest from NeckargemÃ¼nd stayed for 7 nights. Guest from Budleigh Salterton stayed for 3 nights. A quick weekend break to recharge the batteries and enjoy the gorgeous Lizard again! The visit was more than worth it. Oh what a magical place, Simon has truly made a piece of paradise in this wonderful part of cornwall. He made us feel most welcome, and at home instantly. I cannot stress how really lovely this place made me feel. Thank you for an unforgettable week, I wished that I had booked James for our second week, but I would never have wanted to go home if I had. Christine & Fred. Guest from Hove stayed for 14 nights. Such a beautiful place to spend 2 weeks with our family. As a family of 5 with 3 young children (8,7 & 3) you had everything you needed to enjoy a family holiday. The cottage, facilities, playroom, surrounding area was brilliant. Guest from Llanymynech stayed for 7 nights. What a fantastic cottage. Very relaxing surrounding, just perfect for what we love. The kids loved the table tennis, the chickens and the playroom. We loved the peace and quiet, perfect for our 'get away from it all' holiday. The location is beautiful!! Very well equipped kitchen. Lovely comfortable and tidy cottage. We would love to return! Beautifully nestled in an idyllic location, this is the perfect getaway. We were blessed with wonderful weather and the opportunity to eat 'al fresco' every evening with only the sounds of the birds and bees for company. Had a go at the Kotlich, which was great fun and surprisingly effective in novice hands. Cornwall was wonderful as always....we'll be back! Guest from Glasgow stayed for 14 nights. Cob Cottage is a comfortable holiday home is a wonderful location. The sound of birdsong was the only background noise we noticed, and enjoyed, throughout our two week stay there. Although it is tucked away in the countryside, the house is within reach of many interesting places and we enjoyed visits to gardens, coves, towns and villages. A welcome pack including fresh flowers, crusty bread and other local treats was much appreciated. A table tennis table on the lawn encouraged us to get some exercise to work off some of the calories, such as the delicious brownies we had with morning coffee at the spectacularly located Mullion Cove Hotel. Guest from Stroud stayed for 3 nights. This Cottage is in the most perfect location if you are after Peace and Quiet. The grounds are quite simply beautiful and if you have a dog, it is heavenly as there are 7 acres for you to explore. Simon, the owner, is the perfect host offering great advice on what to see and do. Located very centrally, you are only ever a 20 min or so drive away from the coast. We had a fabulous weekend, just not long enough!! Guest from Codford stayed for 4 nights. We had a very enjoyable 4 nights. Simon made us very welcome and spoilt us with a whole list of goodies on our arrival. the cottage was delightful and we have no complaints what so ever, we sincerely hope that lots of people will be renting this summer. We shall definitely be coming back and will recommend the property to friends and relations. We had a fabulous holiday at Cob Cottage - such a beautiful place in gorgeous countryside. Simon welcomed us with some fabulous local produce, and gave us a tour and introduced us to all the animals! The kids loved the playroom, and having my sisters family stay in the adjoining cottage really made this holiday special. Simon gave us lots of advice on places to visit and good pubs in the area. We enjoyed exploring the area, and will definitely return. Guest from Stratford Upon Avon stayed for 4 nights. Spent 4 nights at cob cottage. Lovely cottage in a peaceful location. The host Simon was very friendly and helpful yet also left us to enjoy our stay without interruption. Will definately be back in the summer months! The Cob cottage is in a very quiet location with beautiful garden. There are plenty parking and playing space which is important to me, as I have a trailer and a inflatable boat. As it's at the centre of the Lizard peninsula, you can get to every little fishing villages and coves in that area within 20 minutes. And it's also under an hour drive to St Ives, Lands end or Falmouth. The convenience is the thing I like the most about it. The owner is very helpful. He gave me all the tips I need to know. He even found my phone which I thought I lost it elsewhere. Many thanks, Simon. So once you find the place, (it is very remote, down tracks that don't look much like roads) you arrive a rural idyll. We had a fabulous week. A few minor issues, but a lot of added extras that I didn't expect (table tennis table, the picnic area, welcome basket...). Would happily return...now I know how to find it! Guest from Harrogate stayed for 3 nights. The title really says it all! The cottage is very spacious and comfortable in an out of the way spot on the Lizard. It is excellently equipped. The welcome pack of local goodies was a wonderful treat. Our host could not have been nicer or more helpful. One tiny suggestion - more coat hangers? By collecting all those from the other bedrooms, I could just make do and we were travelling light! What lovely, secluded spot for a much needed, relaxing short break. Most hospitable and accommodating hosts made us feel very welcome, as did their gorgeous dogs and Puzzle the neighbouring horse. We had everything we needed and more - lovely welcome gifts and fab, comfy beds and linen. Thoroughly recommend - thanks all at Cob Cottage. Guest from Redruth stayed for 3 nights. Guest from Middlesex stayed for 3 nights.